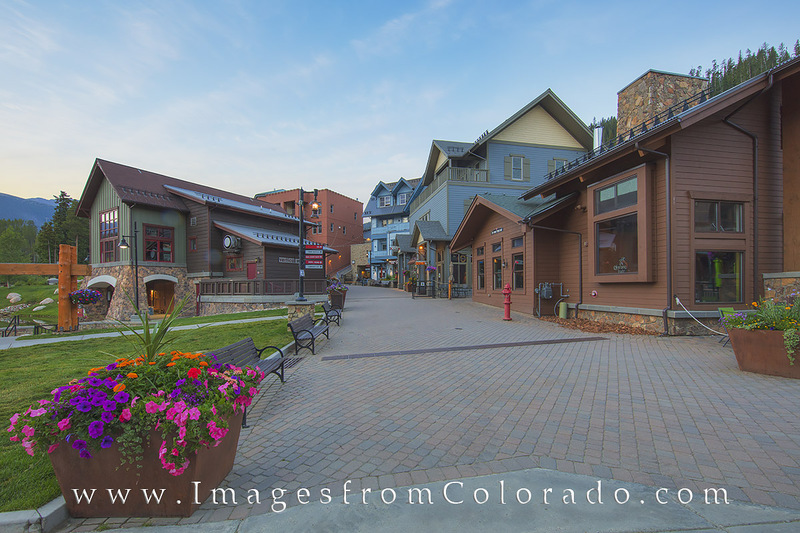 Many resort towns in Colorado seem to display a European influence - and the ski base at Winter Park, Colorado, is no exception. Quaint buildings and colorful walkways welcome visitors. And on a beautiful July morning, I enjoy exploring and shooting and capturing the quiet moments before the busy summer day begins. Photo © copyright by Rob Greebon.